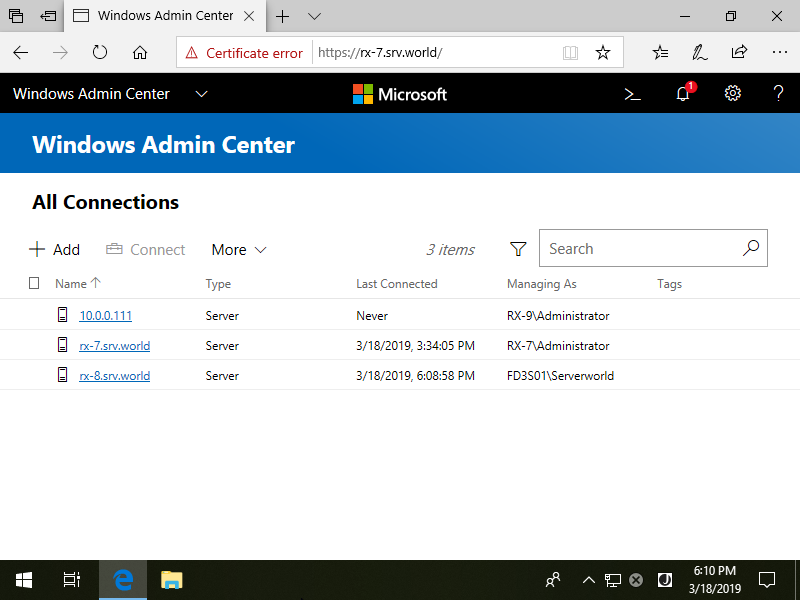 Add Target Hosts on Windows Admin Center. 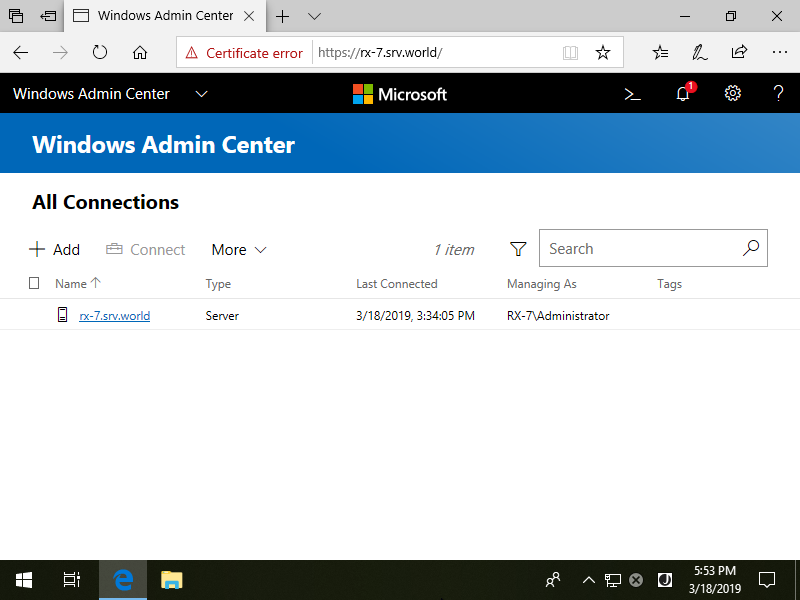 Logon to Windows Admin Center and Click [+ Add] link. Input a Hostname you'd like to add. 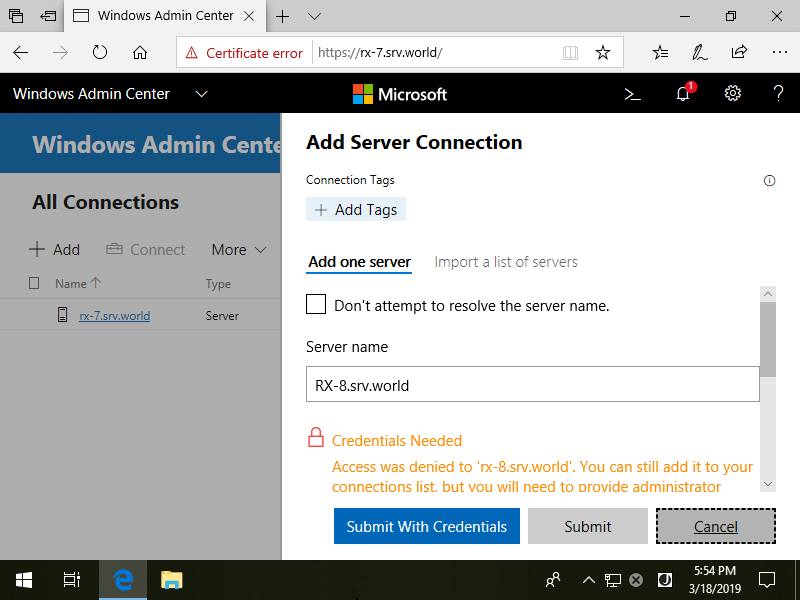 By the way, if Admin Center Host can not resolve the name of the Host you'd like to add, check a box [Don't attempt to resolve the server name] and specify the IP address of the Host. 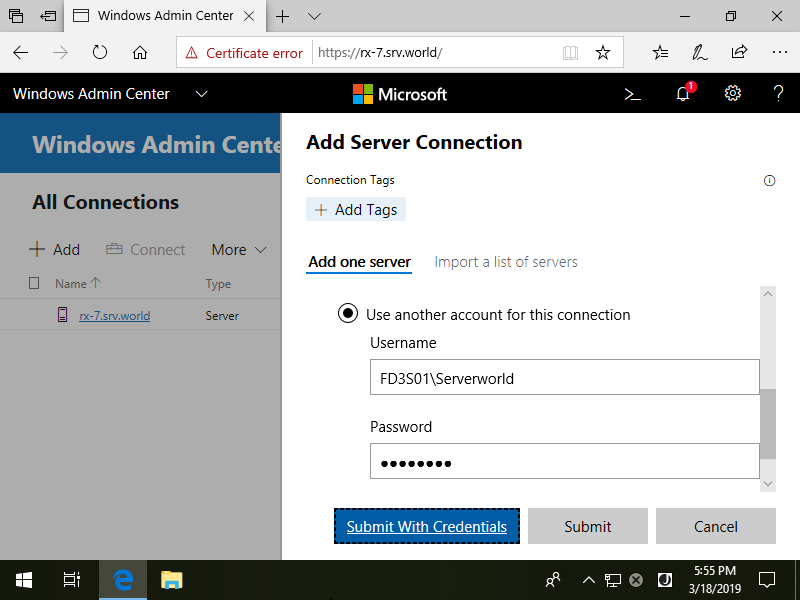 Input Credentials for the Host and Click [Submit with Credentials] button. 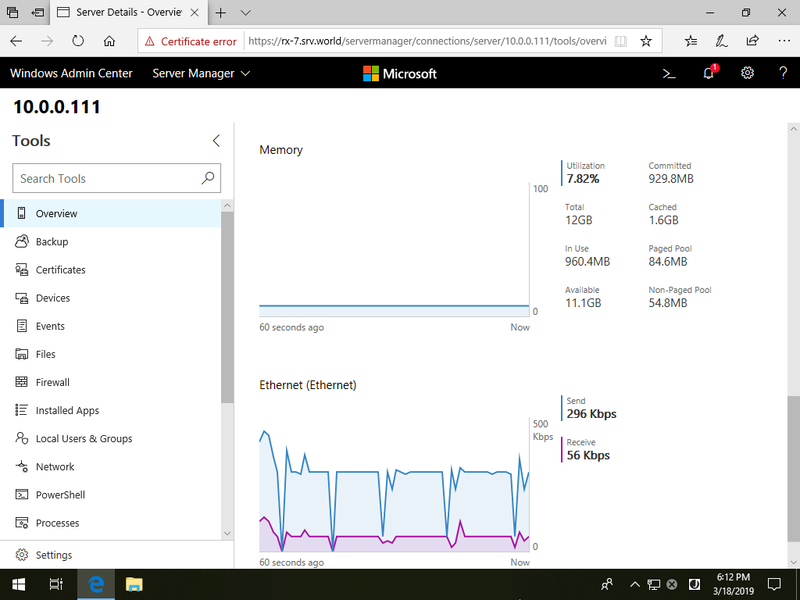 A new Target Host has been added like follows. 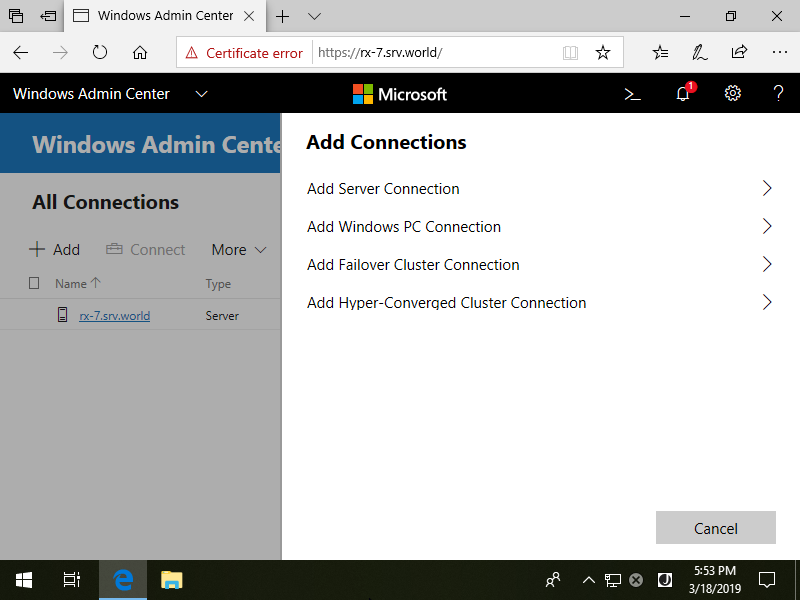 If Admin Center can connect to the new Host successfully, Status of the Host is displayed like follows.